– The middle one I used the most, it seems to work fine, but old memory chips catch interference easily, so somehimes it swapped random bits in memory. – The bottom one is a new 1993 C64C. It is super stable, but the video signal quality was too bad for streaming. This entry was posted on Monday, April 29th, 2013 at 4:44 pm	and is filed under LD #26. You can follow any responses to this entry through the RSS 2.0 feed. You can skip to the end and leave a response. Pinging is currently not allowed. 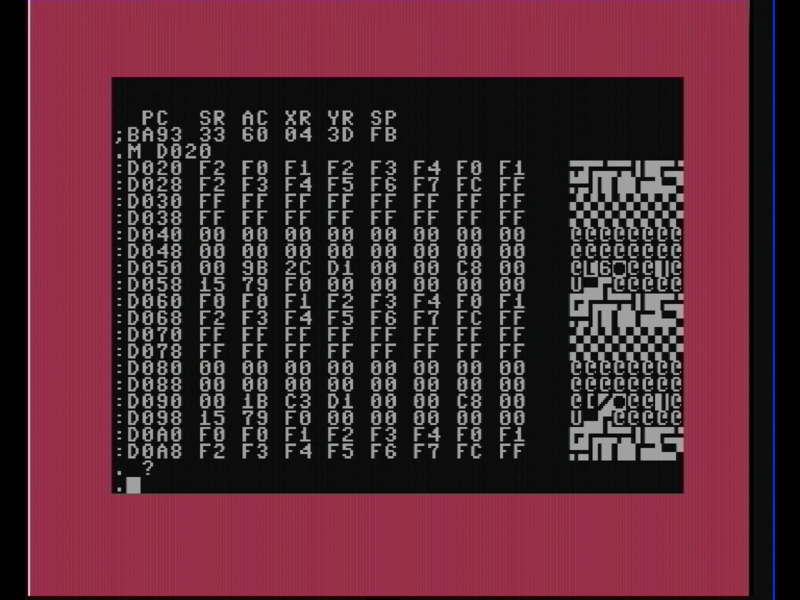 I can imagine doing something on a C64 but in 48 hours? (haha, look at that, I automatically ended that sentence with a semicolon). Time to quit! Someone get this man some professional help. I’ma gonna go start an Indie GoGo to get SOS a girlfriend. This is easily the best thing I read all day. All weekend. Make it: This year!! Awesome work! I used to love developing on the C64. If you want to continue developing in assembler, can I suggest you use PAL? Just Google “Pal Assembler C64”. 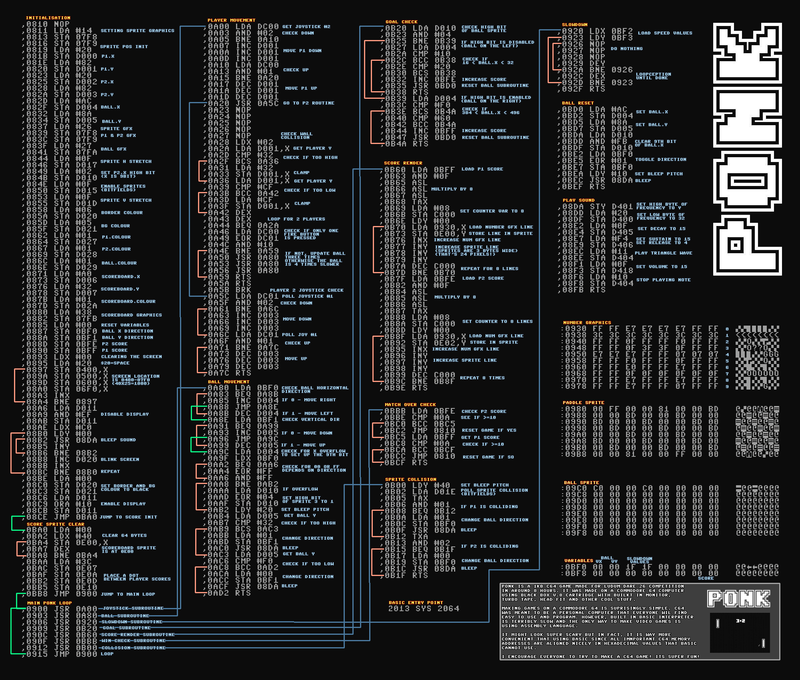 Makes it so much easier, and what I used to develop on the C64 25 years ago [gah!]. amazing, I can’t say anything else, amazing! Aww yeah. Gotta love that diagram at the end. You make your own cables? You should tell us more about that. I like how you made the game first, and saved the super critical tech things for last! 😀 good job all around! Back in the stone age (1983 or so) I learned to code on the Sinclair Z80 in just this manner….except we didn’t have all that fancy pants “color” and “stable display” that a C64 had. We also had all of 2K memory to work with. (For you kids that’s 2000 bytes of memory or far less than an iPhone icon). Writing everything done was a common thing….I always coded on paper first, then on the computer. Of course you need to mention how a stretched tape can destroy your save file, copying your tapes was a must! My centipede game was killer though! This is a great post, thanks for sharing! Back in the C64 days, I used to make text-based adventure games that loaded each new “room” from the dataset as you entered it. The lag while waiting for the next room to load from tape built up the suspense and actually made the game more fun to play! 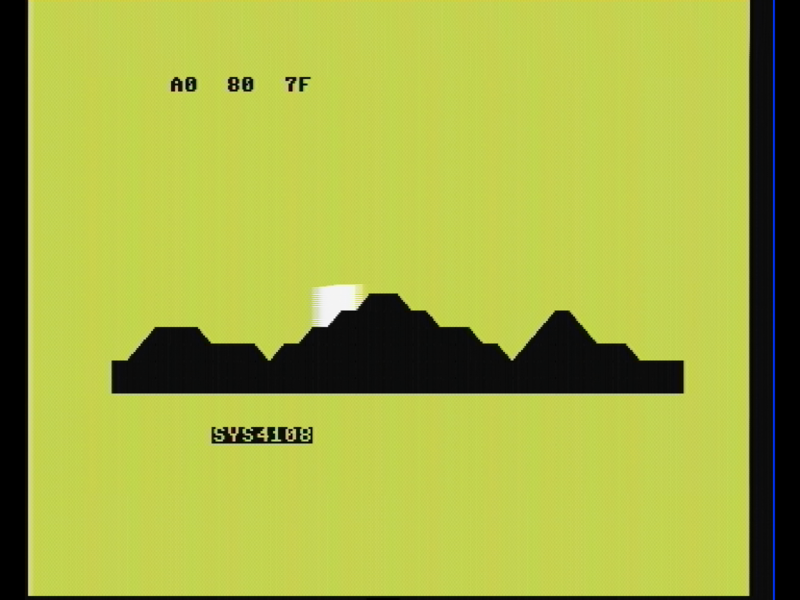 I recommend givin that a try if you feel like doing some more C64 stuff!